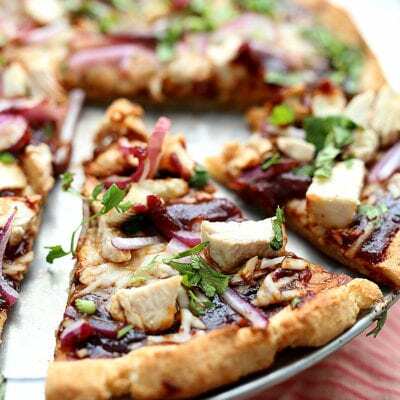 Quick and healthy dinner recipes to make on busy weeknights! 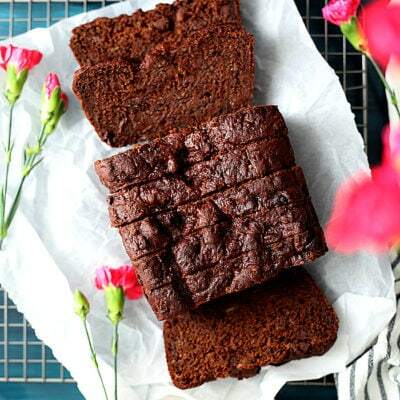 They are low carb, gluten-free, and healthy! We have a guest writer today who is sharing this gorgeous shrimp recipe along with 5 more of her favorite quick and healthy dinner recipes! 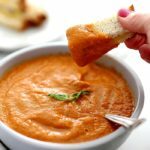 I usually do not have guest writers often on DMF but loved these delicious gluten-free dinner ideas that a reader Amanda has put together for you all! 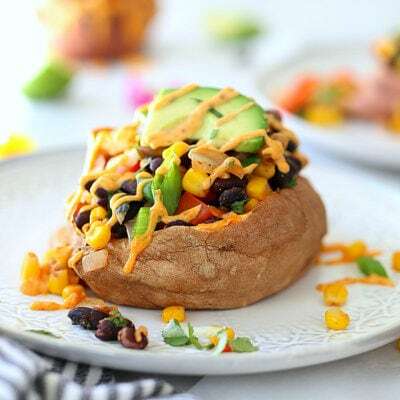 They are perfect for busy weeknights, loaded with vegetables and protein, are healthy and abundant in flavor! 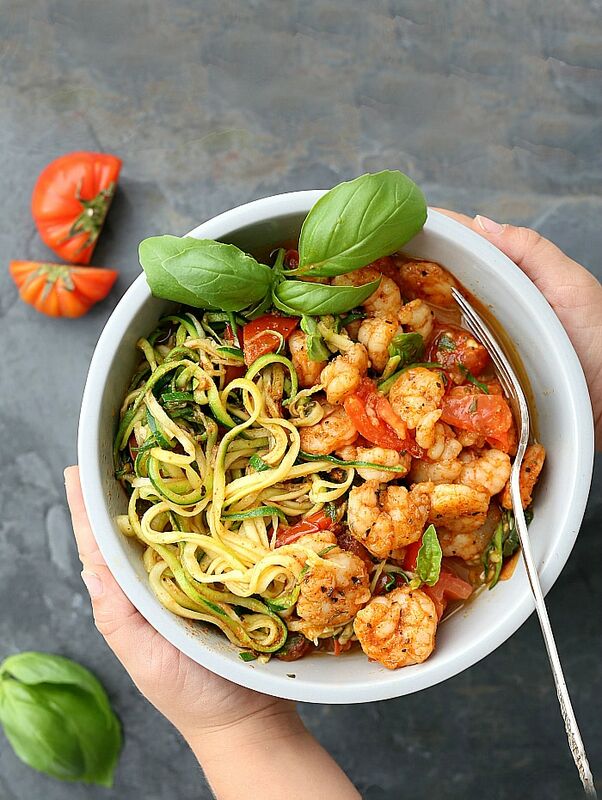 Check out the 5 Must-Make Recipes including this Tomato Spinach Shrimp Zucchini Pasta recipe! 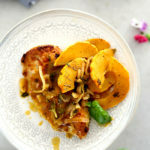 Today’s post is from guest blogger, Amanda Wilks, a writer, contributing reviewer for The Kitchen Advisor, and cooking enthusiast. In the era of exhausting office hours and ridiculously long commutes, getting dinner on the table during the week is something many of us don’t even bother with. In this situation, ordering a pizza or grabbing a sandwich from the fast food around the corner instead of spending two more hours buying ingredients from the grocery store seem like the more sensible choices. 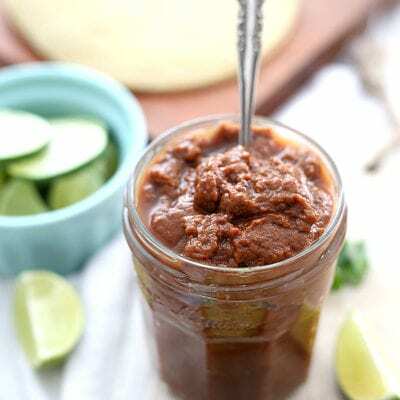 Fortunately, there are various ways to prepare dinner quickly and many dinner recipes worth testing, and still, have some time left to do whatever you were planning to do for the rest of the evening. Here are five quick and healthy dinner recipes for busy weeknights. 1. 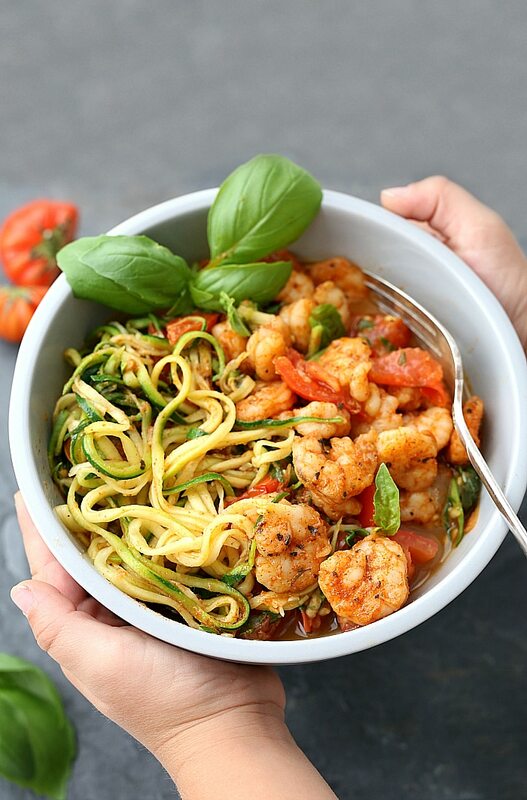 Tomato Spinach Shrimp Zucchini Pasta Debuting this article is the savior of many hungry, busy people: pasta. The main advantage of pasta is that you can combine it with pretty much anything and it will still taste delicious. But for this entry, we are proposing something different. This particular recipe makes use of zucchini shredded with a peeler as a carb substitute. What is more, it is healthy and can be cooked in under 30 minutes. Grab a large skillet, pour two tablespoons of oil and turn the heat to medium-low. Add shrimp, paprika, Italian seasoning, red pepper flakes, and Cook them on medium heat for approximately five minutes, until the shrimp is cooked through. After the shrimp is ready, remove it from the skillet and put in on a separate plate. Next up, you have to add the chopped tomatoes, spinach, minced garlic and basil leaves in the same skillet. Cook them on medium heat for three or 5 minutes up until the tomatoes are releasing juice and the spinach wilts. Shut off the stove and cover the skillet with a lid. Boil the zucchini shreds until they soften, but make sure they aren’t too moist either. Then, pour them in the skillet after they are finished. Reheat the skillet on low for three minutes while mixing the ingredients. After taking the skillet off the stove, all you have to do is add the cooked shrimp and juices. Serve and add any extra salt to taste and freshly ground black pepper. 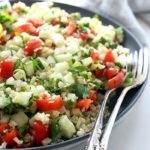 This is a delicious recipe full of flavor and texture that can be easily prepared in only 20 minutes. 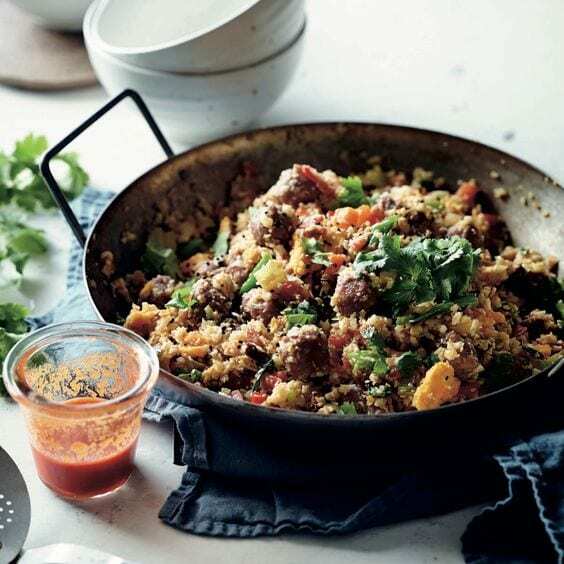 It has an added grain-free twist, as regular rice is replaced with coarsely processed cauliflower. Get the recipe from Food And Wine. 3. 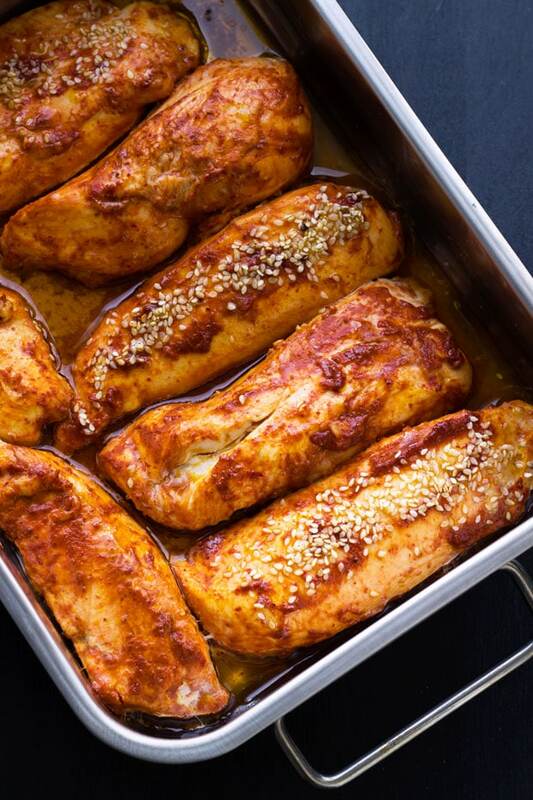 Roasted Harissa Chicken Breasts If you are in a real hurry, this is the perfect recipe as it requires only five ingredients and about 20 minutes of easy kitchen work. 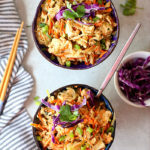 It is spicy, crunchy on the outside and tender on the inside. Get the recipe from Eat Well 101. 4. Italian Beef Stew Even if you are not a fan of stews in general, you should try this recipe at least once. This hearty, Italian style beef stew is rich in flavors, and the smell alone will make you crave for more. 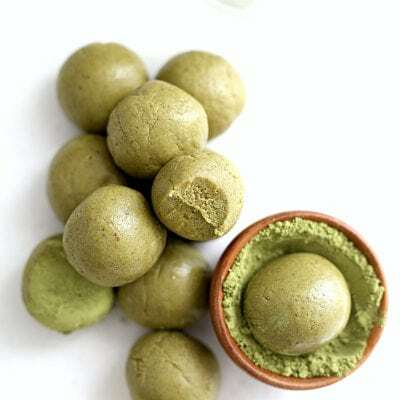 It is full of vitamin C, healthy and very easy to prepare, taking between 10 to 20 minutes out of your busy schedule. 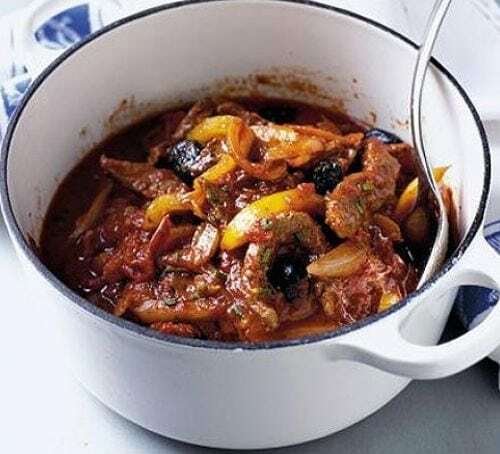 Get the recipe for this Italian Beef Stew from Good Food magazine. 5. 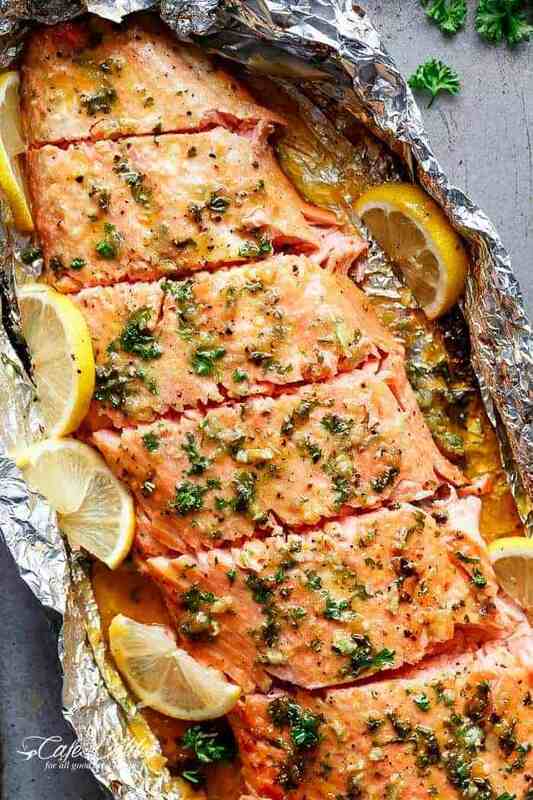 Foiled Baked Honey Garlic Salmon Rounding up this list is a special recipe full of flavors and texture in this foil baked salmon. This is a little more complicated to prepare, but it’s surely worth the effort. It takes only 25 minutes and is one of the best salmon recipes! Get the recipe from Cafe Delites. 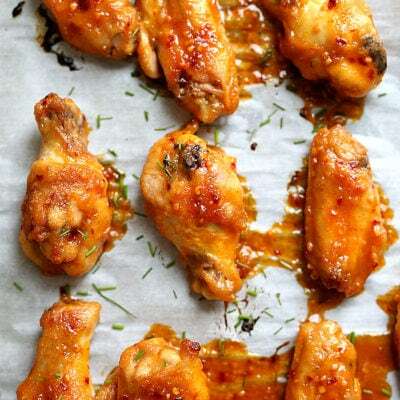 These are five simple recipes that you can prepare after a long day at work. They are healthy, nourishing and contain all the necessary nutrient and vitamins in existence. Picking up take-out food will be a thing of the past. Author Bio: Amanda Wilks is a writer, contributing reviewer for TheKitchenAdvisor.com, and cooking enthusiast. It’s only recently that she has discovered her passion for gastronomy, but since she did, not a single day passed without her cooking for her family and friends, who praise her creativity in the kitchen. If you want to learn more about Amanda, go on Twitter.